1975 Retro Cans Are Back! Back by popular demand, we’re excited to announce the re-release of the Narragansett 1975 “Jaws” can just in time for the anniversary of the iconic film’s debut on June 20. 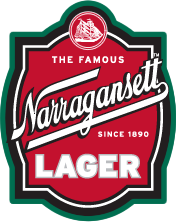 This summer, all 12-, 18- and 30-packs of 12-ounce cans of Narragansett Lager will replicate the 1975 can famously crushed by Captain Sam Quint! In conjunction with the relaunch, we’re supporting shark conservation efforts in the Atlantic Ocean and giving ‘Gansett fans a chance to name and track an adopted shark! In partnership with the R.J. Dunlap Marine Conservation Program at the University of Miami Rosenstiel School of Marine and Atmospheric Science, Narragansett Beer will sponsor the adoption of a shark through the purchase of a satellite tag, allowing researchers — and ‘Gansett fans — to track the giant fish and learn more about shark behavior. ‘Gansett fans will have the chance to name the adopted shark by submitting name suggestions through Facebook, Twitter, and Instagram now through Shark Week, beginning August 10, using the hashtag #NameTheShark. Additionally, Narragansett will sponsor the purchase of a tracking buoy off the coast of Cape Cod through the Atlantic White Shark Conservancy, based in Massachusetts! So go on, #NameTheShark, and always remember – if you’re going to crush it, #CrushItLikeQuint.